Arclinea kitchens are elegant and functional, enhancing the pleasure of cooking. With Arclinea, the kitchen becomes a space to live and share with friends and family. Since 1925, Arclinea continuously looks for excellence, harmonizing creativity and technology, conviviality and functionality. This research is conducted through innovative solutions, aiming to create environments that improve people’s life quality. Today Arclinea is an international prestigious brand, the perfect ambassador of Made in Italy all over the world. It operates in both retail and contract with the residential, hospitality and marine divisions. In order to create excellent products, the brand has remained loyal to its values over the years: history, passion, tradition, creativity, culture, professionalism, innovation and ethics. In this way, Arclinea managed to succeed in growing and prospering while remaining consistent. The first of Arclinea’s lead values is history, because knowing where we come from helps us to avoid getting lost in facing the daily challenges. Remembering yes, but also looking towards the future, letting yourself guided by passion: it is the pleasure of doing and “knowing how” that opens up new horizons. You need passion in order to look to the future, but also inspiration, creativity, knowledge and culture. These are the innovative elements that have leaded the brand beyond pure design. Finally, there is professionalism, the element that balances everything. The care and precision of the details have given life to excellent products. The most popular products are the Arclinea kitchens: stylish kitchens, created for those who spend every day in this space and have clear needs. There are many models on the market, all created based on the identifying values of the brand. Only in this way it was possible to create high-functionality kitchens, made only with high quality materials and with various customization possibilities. Arclinea is a company that has become famous for its high-end kitchens, with a sophisticated design and universally recognized quality. 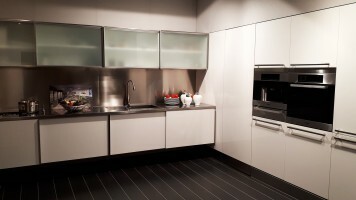 The quality of Arclinea kitchens is ensured by a professional company policy. We offer the guarantee of the constant adaptation of products, production methods and procedures to a system that is responsible towards future generations. We start from a clear principle: the first clear action is to create products that last over time and follow the principles of eco-sustainability and eco-compatibility. Arclinea puts everything in the right place, in order to facilitate work and moving through the kitchen: professional hoods with high suction capacity, fully-equipped kitchen sinks and exclusive faucets, different internal equipment for organizing drawers, bases, wall units, cabinets and variable height tables. The Arclinea collection is characterized by a great variety of elements, all compatible with each other. It is designed and created to solve real and daily needs and demands. The kitchen is a place where you can live and create: functionality and innovation must be the keywords. In fact, in the kitchen you must be able to move easily and enjoy the cutting-edge technology: it must help, not hinder. With Arclinea kitchens, functionality and technology are at the customer’s service. The Arclinea collection is a family, a harmonized whole. The products are all compatible because it is possible to design the ideal kitchen. For Arclinea, design is no longer just form and function, but represents the creation of living places, full of passion and creativity. Continuous research has led Arclinea to analyze people’s perspective regarding food: from its preparation to its consumption. Only in this way is it possible to design a truly cozy and organized space. This research has also allowed Arclinea to design professional kitchens for schools and restaurants. Hybrid places where food culture meets design culture: not just a meal, but an experience of taste. Arclinea was born in 1925. The founder, Silvio Fortuna Senior, initially wanted to continue the family business: the carpentry workshop, opened in 1816. The company makes headway and continues in full swing, until the turning point in 1960: the production of the first series of kitchen furniture and the presentation of Claudia, the first kitchen with incorporated appliances. In the following years the company consolidated itself, until 1980 when Arclinea began the collaborations with external designers, such as Antonio Citterio, who became the reference designer of the company since 1990. The idea of excellence and total quality was born in those years. The perfect knowledge of materials, technological processes and the choice to produce everything in Italy, combined with the intuitions of Citterio, has led Arclinea to the international scene. The brand aspires to produce only excellent and qualitatively perfect products. 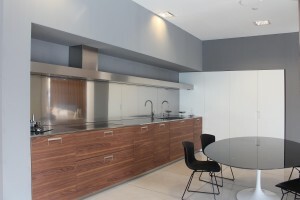 The processes are exclusive, the details are unique: every kitchen is customized according to client’s needs. These are the fundamental values of Arclinea that have allowed the brand to aim towards excellence: history, passion, tradition, creativity, culture, professionalism, innovation and ethics. In Milan, Interni manages the exhibition space of Arclinea, the flagship store. 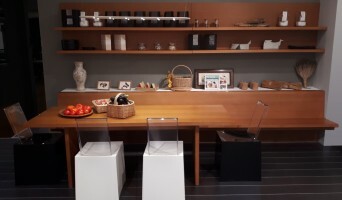 Here, the interested people can touch the quality of Arclinea kitchens: the store staff will help the customers by illustrating the strong points of the kitchens present in the store and in the catalog. 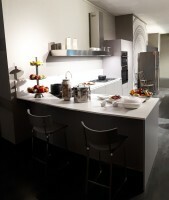 The flagship store is located in the heart of Milan and the showroom is easily accessible while visiting the city; it is undoubtedly a place to visit if you want to see with your own eyes the uniqueness of the Arclinea kitchens.